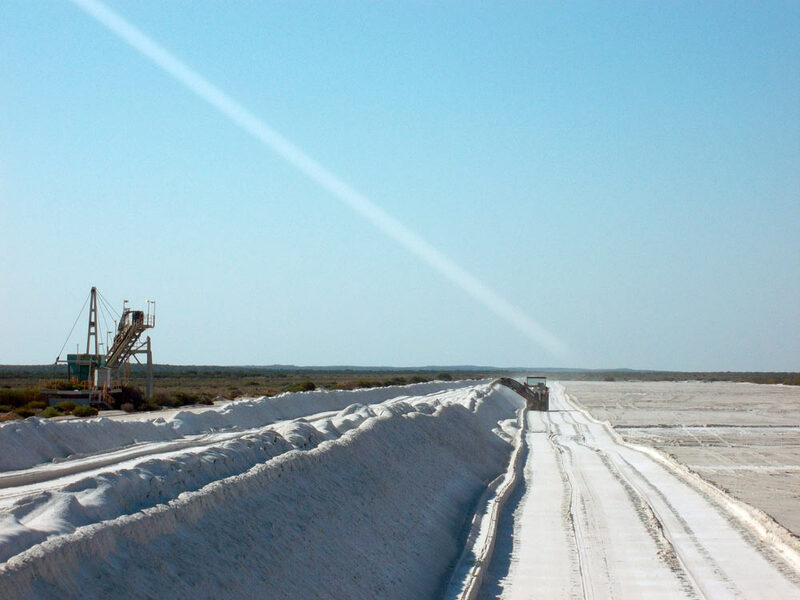 Global Civil and Mining made an innovative decision to use their machines to mine salt at Useless Loop in Western Australia. This proved to be a very successful endeavour, with production rates of 500 tonnes per hour being loaded directly onto road trains. 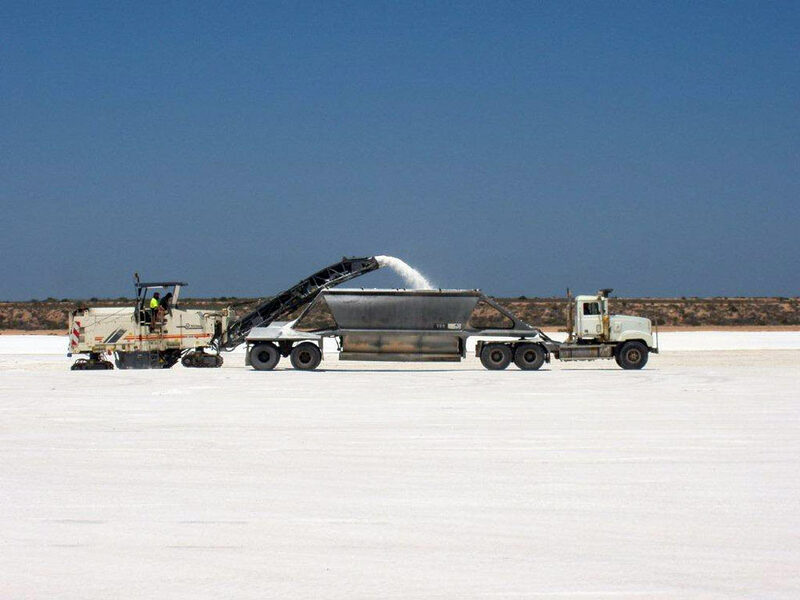 The floor of the pond at Useless Loop consisted of an excessively thick layer of salt crystals that had been untouched by the existing harvesting machines for many years. 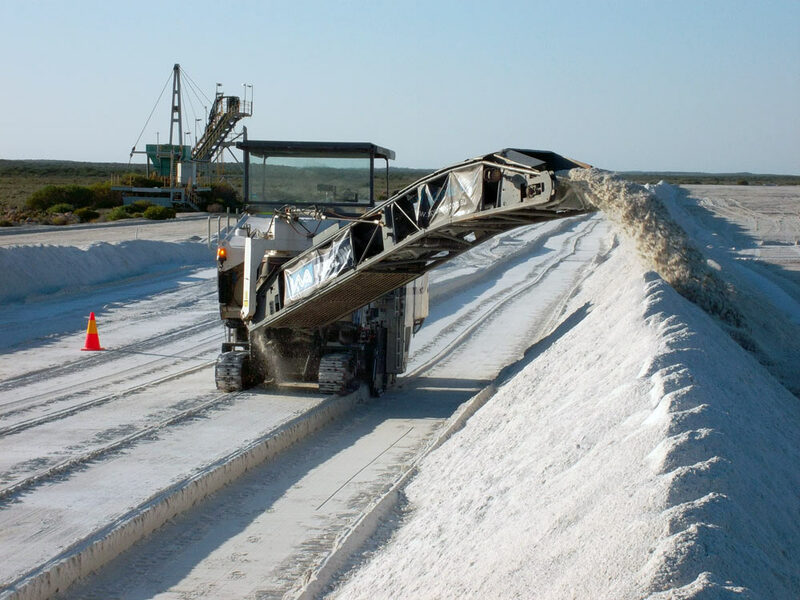 The machines in use at the time simply could not deal effectively with the uneven floor or the hardness of the salt caused by the continually developing salt crystals. The W2000 road profiler was set up with laser-levelling equipment to create a perfectly level floor. 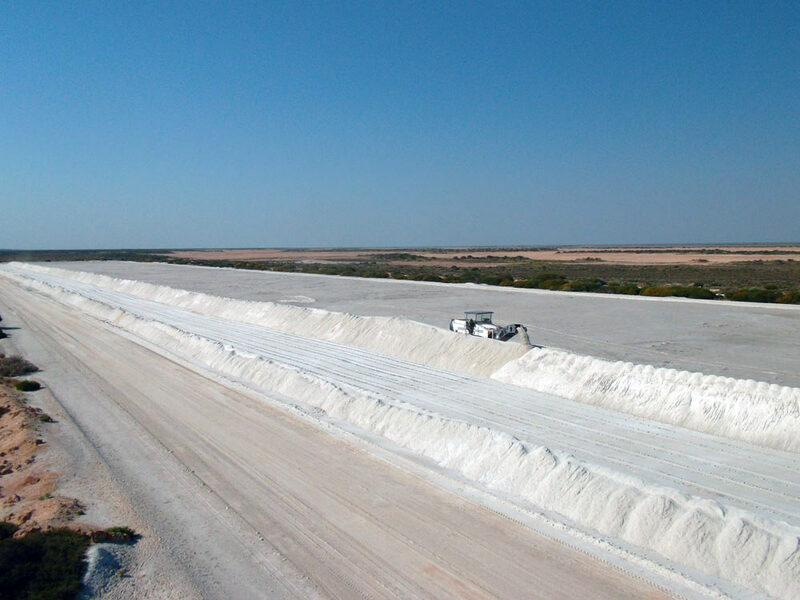 The pond that was harvested was approximately 300m by 350m in size, leaving behind a perfectly level floor to enable better growth for the salt.